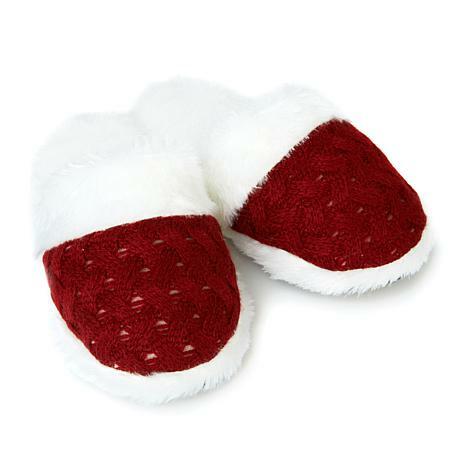 Oh how soft and comfy these slippers are! 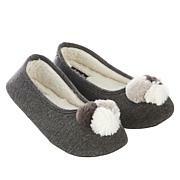 They slide right on with the faux fur lining and much better than Sherpa lined slippers. I have both kinds and these are by far my favorite. They run large though. I wear a 7 1/2 size shoe and got the medium and they are a bit big but I can also wear socks with them too and very likely to do this winter in NY. It's cold here in winter! Love these slippers. It would be nice to have the same lining in booties too. These are the most comfortable, softest slippers I have ever had!!!!! Ordered the tan & at 1st glance you can see that there not quality material. Easy to slip out of when walking. Returning & not reordering. the slippers are just okay. Personally I think they're made very cheap. Bought two pairs Navy and Ivory. Should have sent back but didn't feel like going through the hassle so I just kept them. I like that they are soft and warm. But the traction could be better. I keep slipping.